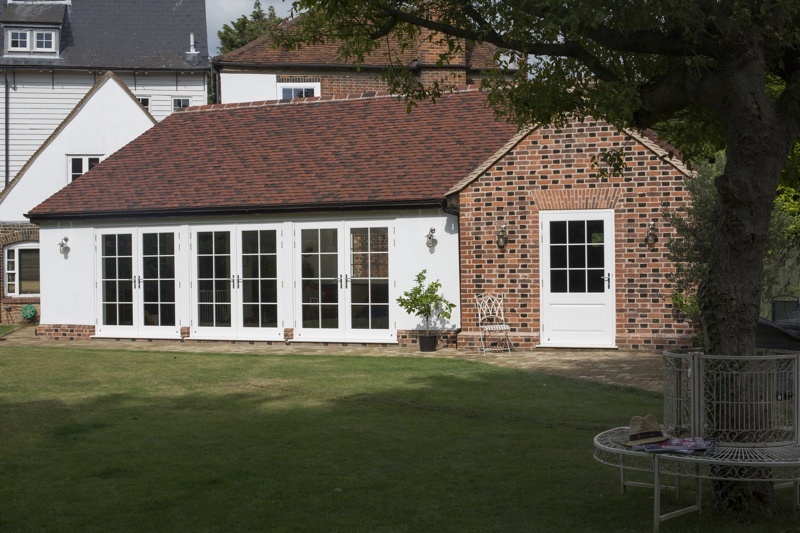 The owners of a Grade II listed property in Hertfordshire gained planning permission to add on a rear extension which would be modern, yet sympathetic to the original building. 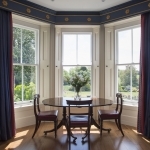 They wanted the room to be filled with natural light and connect the living space with the south facing garden. 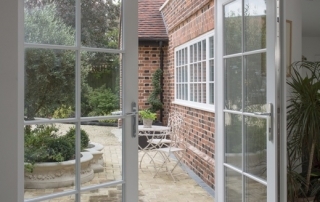 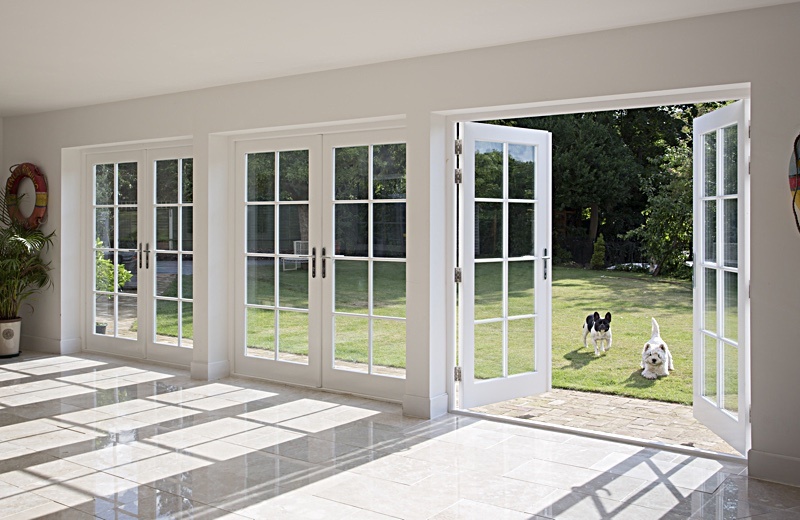 The clients knew French doors would have the look and feel they wanted to achieve and would be more appropriate than bi-fold doors, which would be too modern. 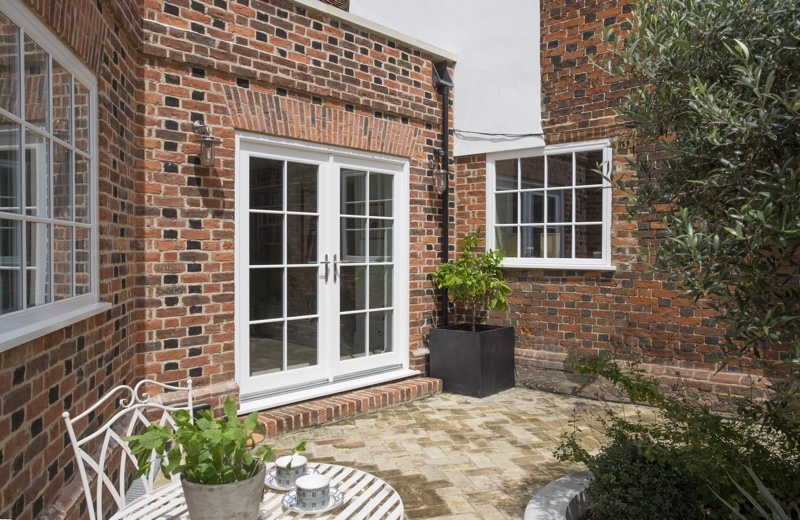 We had already replaced the sash windows in the property by the time the extension had started so we knew which mould detail and glazing would be most appropriate. The planning permission allowed modern double-glazed units so we installed 4mm toughen glass, on both the internal and external pane, with a 16mm argon filled cavity. 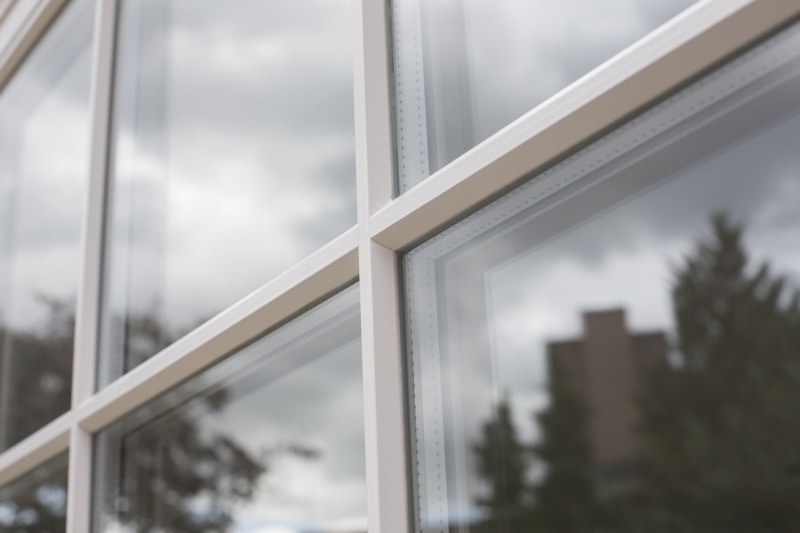 This combine with a low emissivity coating will give good thermal performance. 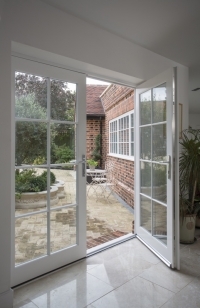 Each door set has multipoint locking mechanism for enhanced security. 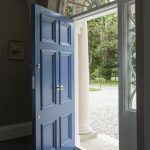 The door sets were made in solid Accoya so unlike with other timber, our clients will not have to worry about sun damaging the paint or wet weather making the doors swell, shrink or twist.